But the team from the Coldwater & District Curling Club picked up two important victories during the championship round on Saturday. 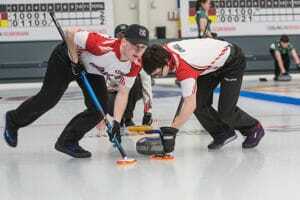 Niepage, vice-skip Sam Hastings, second Cameron Vanbodegom, lead Treyton Cowell, alternate Chris Inglis and coach Jeff Vanbodegom defeated New Brunswick’s Josh Nowlan (Curl Moncton) 9-6 in the morning and Alberta’s Nathan Molberg (St. Albert Curling Club) 5-4 later in the day. “This has been a great experience so far. I want to thank everyone who put this together. The host committee, the people working in the restaurant upstairs…It’s been amazing so far. All the ice makers. The ice has been great all week and very consistent,” Niepage said. While the ice is consistent, Niepage will be the first to admit that his level of play at the start of the week was not. Now his team has strung together five straight victories and is guaranteed to play for a medal after qualifying for the semifinals on Saturday. The majority of the team has played together for the last three seasons with the exception of vice-skip Hastings who joined this year. Niepage and his team battled through a competitive provincial field to earn their first provincial title and represent Ontario at a national championship. “I’m really honoured to be considered Team Ontario. 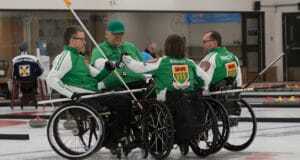 The provincials we had to go through was such a strong field,” he said. Because of it, he’s no different than anyone else both on and off the ice. He’s can communicate with teammates and coaches and maintains a solid academic output at school as an Honours student throughout his entire high school career. Niepage will attend the University of Guelph’s accounting program next school year with the goal of receiving his CPA certification. 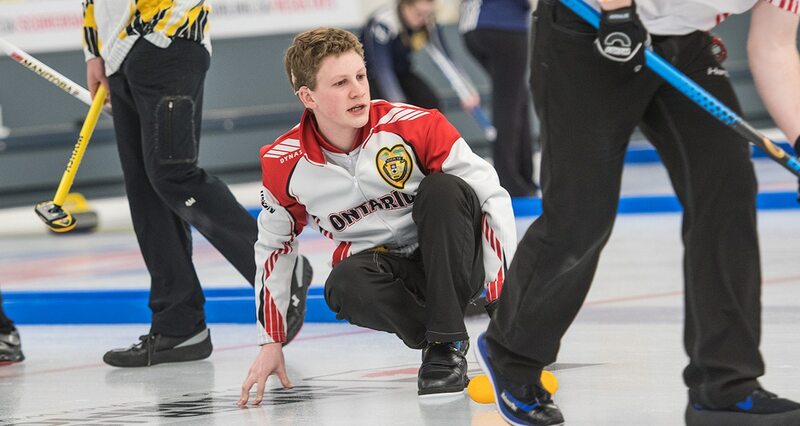 But for now he’ll focus on coming away with a medal at the 2019 Canadian Under-18 Curling Championships. 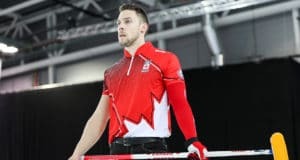 Ontario will play Manitoba’s Jordon McDonald (St. Vital Curling Club, Winnipeg). On the other side of the bracket, British Columbia’s Erik Colwell (Vernon/Kamloops/Invermere Curling Club) plays Nova Scotia’s Adam McEachren (Truro Curling Club). In the girl’s competition, Northern Ontario’s Bella Croisier (Idylwylde Golf & Country Club, Sudbury) advanced directly to the semifinal with two wins on Saturday. She’ll take on New Brunswick’s Melodie Forsythe (Curl Moncton) on Sunday morning. Ontario’s Emily Deschenes (Manotick Curling Club) plays in Sunday’s semifinal against British Columbia’s Kaila Buchy (Kimberley Curling Club). The 2019 Canadian Under-18 Curling Championships continue on Sunday with the semifinals at 9 a.m. and the gold- and bronze-medal games at 1 p.m. (all times MT).